Do you ever wish that you could automatically simplify a passage of text for your students who struggle with reading, and while you’re doing it, provide definitions of each challenging word? You can at Rewordify.com. 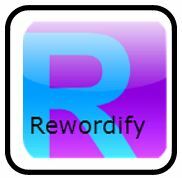 Simply copy and paste the text into the field provided, and Rewordify.com will replace difficult words with simpler words and phrases, as well as provide definitions of the replaced words. The site is free and child-safe. If you are looking for speech therapy and/or language learning activities, check out SpeechTX.com. The site is free and provides ideas and activities for all ages. The site has sections on language, literacy, augmentative communication, and articulation. AACLanguageLab.com offers many free educational resources and teaching aids to support language development, vocabulary acquisition, and effective AAC use. There are additional resources avaialble with the annual paid subscription. Tagged apps, ELL/ESL, reading. Bookmark the permalink.